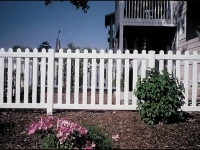 Vinyl fence is beautiful and easy to maintain with a variety of different styles and colors available. 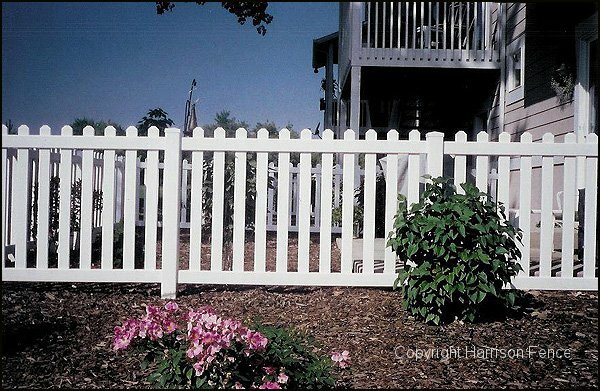 This simple, picket fence style compliments any yard or garden. 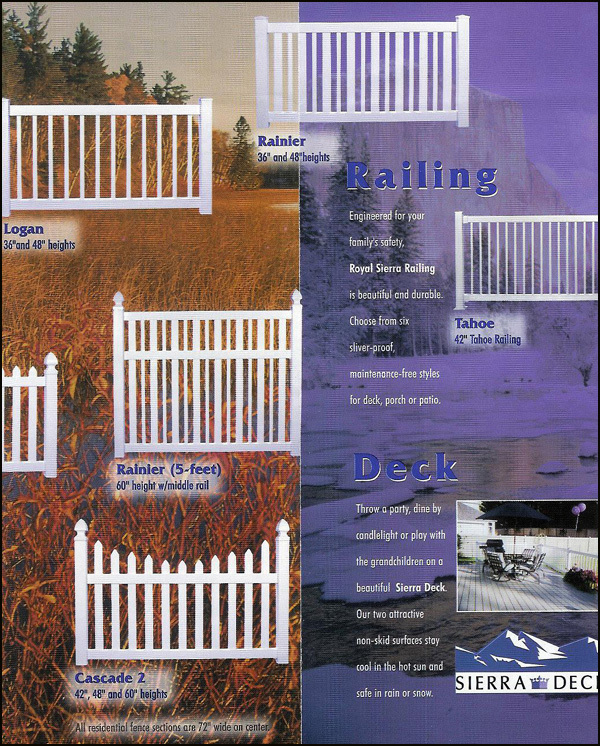 These are a few examples of fence styles in vinyl. 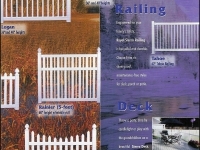 Please see link above to view many different styles. 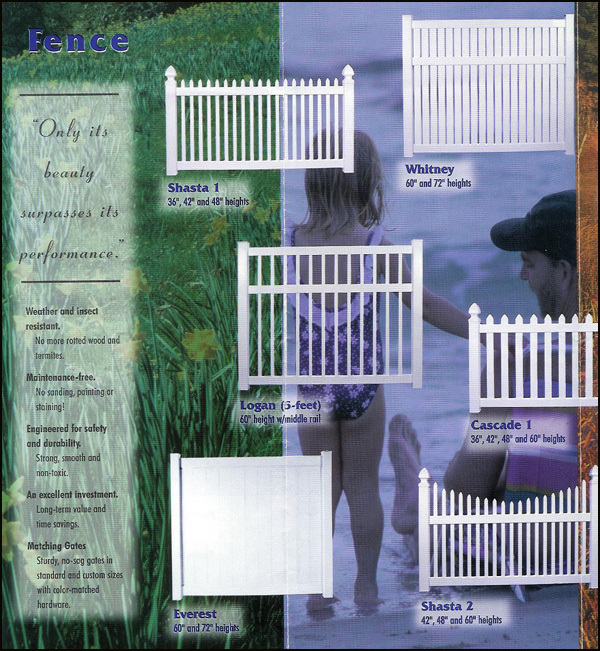 *Not all styles may be available. 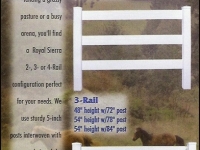 Two, three and four rails available. 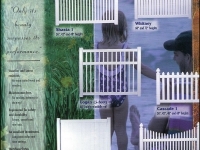 Optional wire mesh for pet enclosures available as well.